Hanoi, the capital of Vietnam, has the deep history and rich culture with colorful life. Hanoi is the first destination for tourists to explore the North of Vietnam. 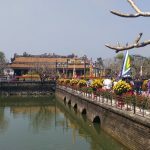 You just have the short time to explore Vietnam and are looking for the help of suggested itinerary. Here is our 5-day guide for what to see and do in Hanoi. You can use this guide to plan your journeys to Vietnam. If you can stay longer in Vietnam, there are many attractive destinations to come including Da Nang, Hoi An, Hue, or Ho Chi Minh City. All are well worth discovering during your holidays in Vietnam. We start the trip to visit the one of the famous museums, the Vietnam Museum of Ethnology. You will find out a lot of history and culture of 54 different groups of the Vietnamese people. The general views of Vietnam give you a great look to step to understand more about the country and its beauty. Continue to visit one more museum – the Museum of Women. Tthe museum introduces the different sides of the woman life, including the clothes, their roles in the family and society, the circle of women life (grow up – get married – give birth …), and many stories of the women in the daily life. Keep exploring the Literature of Temple which was the first national university in Vietnam. The temple was built in 1070. It is the symbol of the educational spirit of the Vietnamese people. Then, you visit the Hoan Kiem Lake and Ngoc Son Temple which are located in Hanoi Center. You can take pictures to remember your time in Hanoi, because here is the important place in the history of Hanoi and the local people. Take a rest, and enjoy the Puppet Performance. This special traditional art is well-preserved with the unique skills to perform. Trang An Tourism Complex is situated in the northern province of Ninh Binh. This is one of the UNESCO World Heritage. Bai Dinh pagoda is famous as the biggest pagoda and has the most statues in Vietnam. Trang An – Bai Dinh tour is one of the popular tours from Hanoi. We start from the hotel in Hanoi to Ninh Binh with around 2 hours to drive. You will visit Bai Dinh Pagoda, which has hundreds of Buddhist statues including the biggest statue of Buddha made in bronze standing 10 meters tall. You take a break and have lunch at a local restaurant with Ninh Binh traditional dishes. This lunch is optional. We will continue the excursion to Trang An. Upon on arrival, we take the boat trip along the Trang An River to enjoy the cave complex. The scenery of Trang An is an amazing combination of the river, mountains, caves and blue sky. The boat trip will range from 2 to 3 hours, rowed by local people. After the boat trip, we drive to your hotel in Ninh Binh to relax. In the early morning, we will drive (around 4.5 – 5 hours) from Ninh Binh to Halong Bay to explore one of the tops of beautiful landscape in Vietnam. Halong Bay has hundreds of islands scattering in the sea. That’s great to spend a night on the cruise on the bay. Morning in the bay is great to enjoy fresh air with the island in the early fog. This creates incredible pictures. You will continue exploring the beauty of Halong Bay. At noon, come back the port to start driving back Hanoi for your relaxation. Vietnamese food is great with colorful and flavorful. 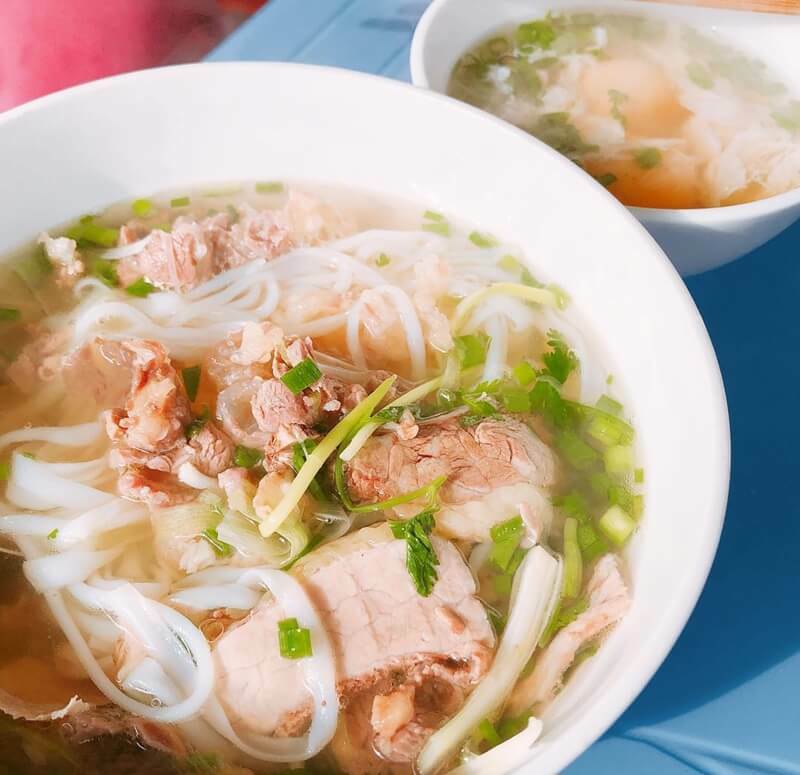 Today, it is chance for you to taste the local food in Hanoi. There are many ways to taste the local food: Join a cooking class or take a walking food tour. Vietnam Drive introduces you a walking tour to taste street food in Hanoi. The food tour can take from 2 – 3 hours. Then, you can spend the rest of time to go shopping. 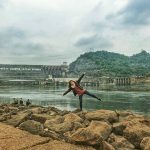 This itinerary is suggested for your 5 day holidays in and from Hanoi. If you want to book a private car to do this trip or need to customise anything, Vietnam Drive will be happy to support you.